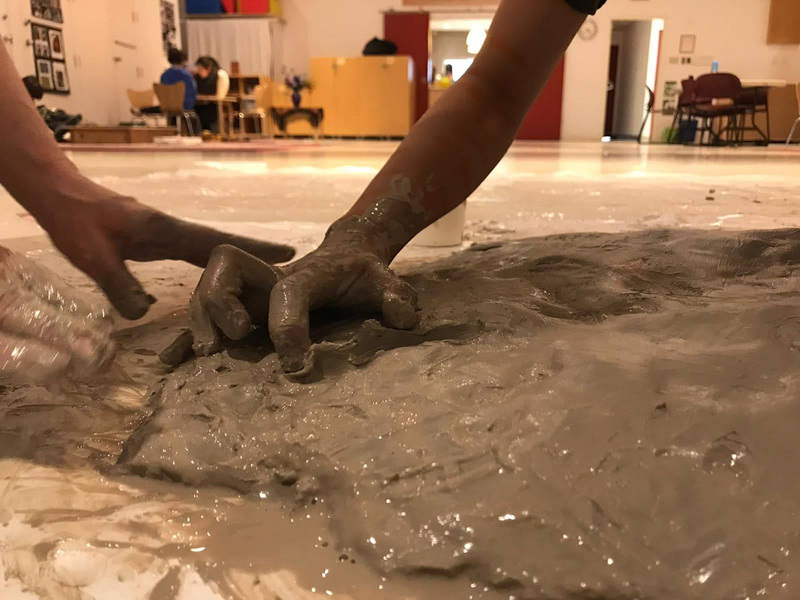 For a long time, The educators from Frog Hollow Kids World programs were not sure how to use clay in their programs. 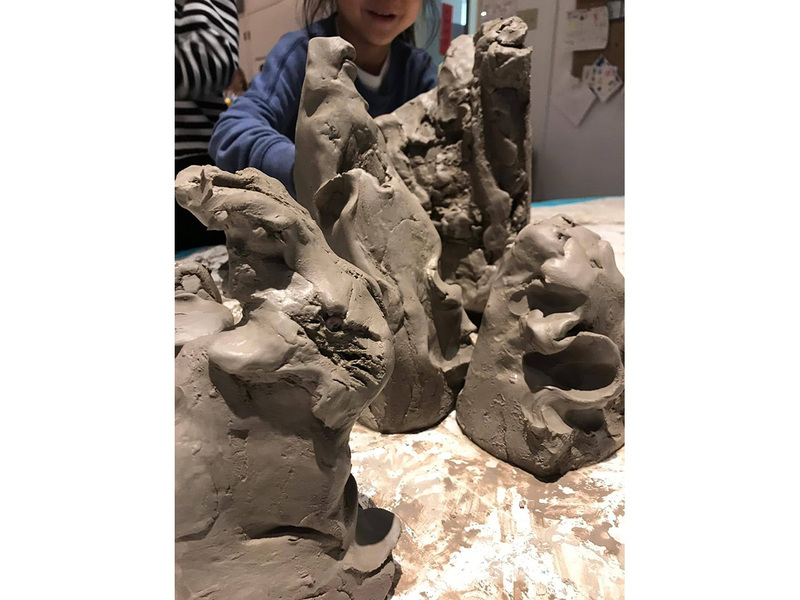 They continued to challenge themselves, offering the clay to the children in different ways, until the unfamiliar became welcome as a natural part of the space. Here, they share some reflections on Living with Material. What does it mean to live with material? What does it mean to get to know something? To let it become part of our culture? 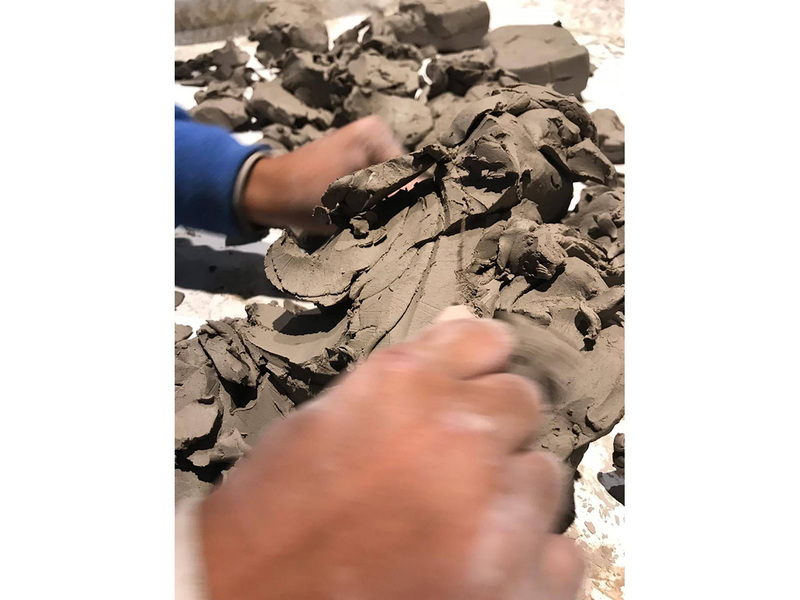 We have been challenging ourselves for the past year to get to know the language of clay. 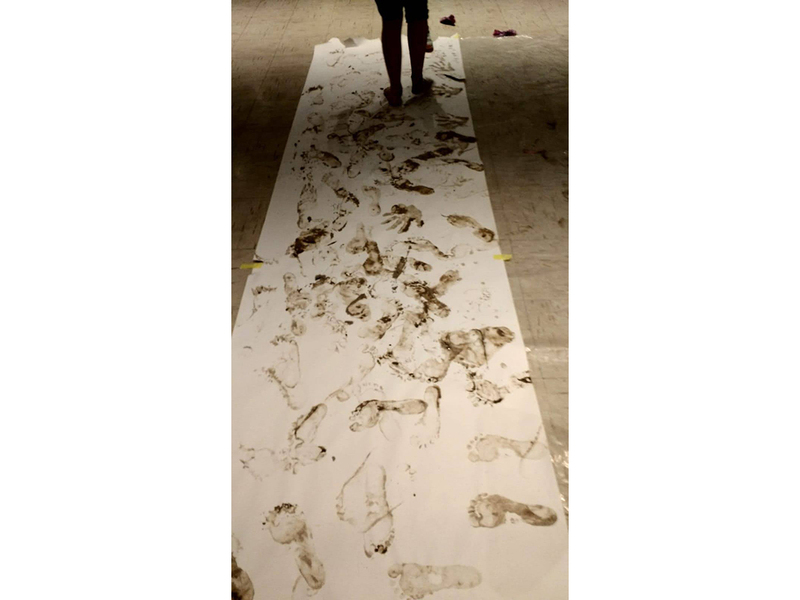 To understand its footprints, history, characteristics, forms, likes & dislikes. At first, many educators were disappointed. 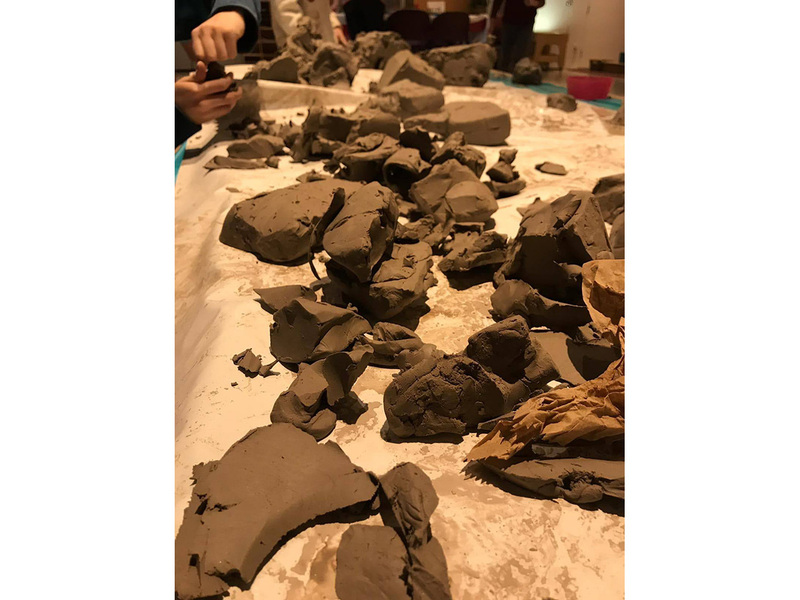 The children didn’t seem to be interested in clay. It was messy; felt uneasy on hands. It was more difficult than play dough to manipulate. It was unknown. Those who were interested, wanted to make something, dry it and take it home. 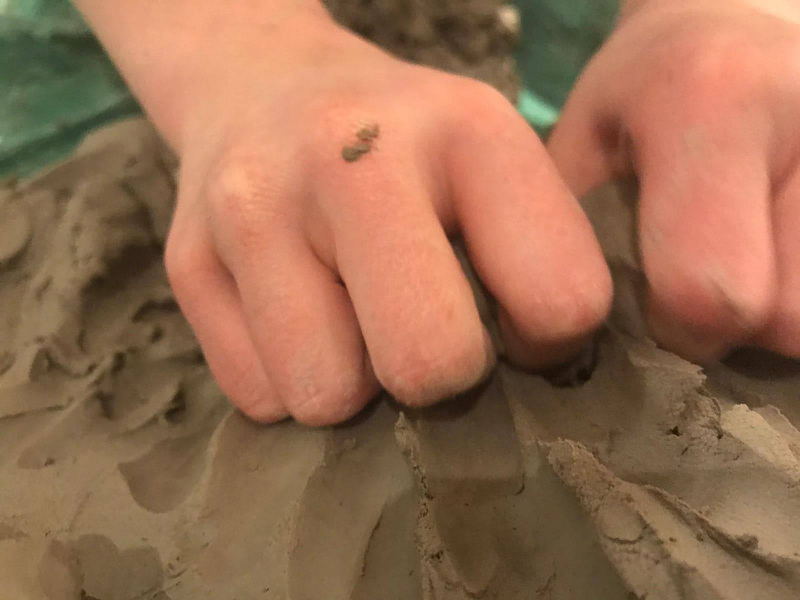 The process – the very act of being with the clay – did not seem to interest the children. It would be easy to get discouraged – but we continued to challenge ourselves. 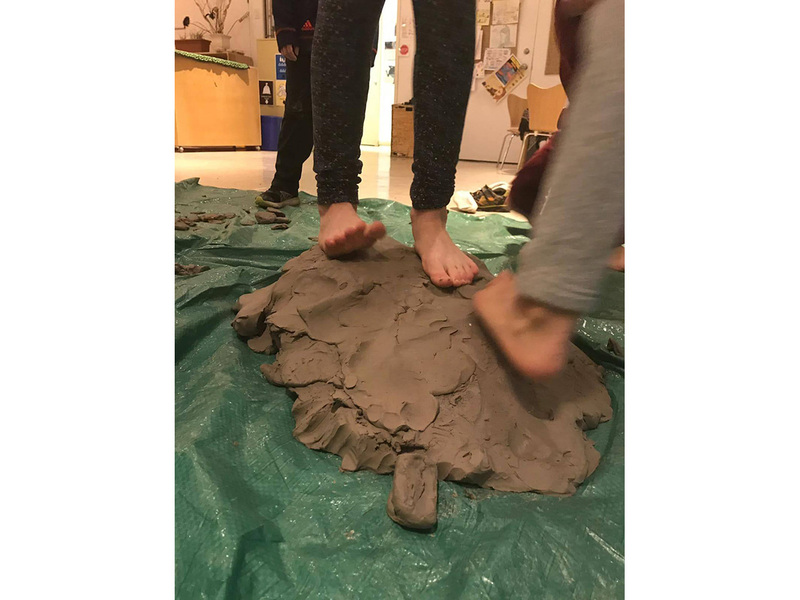 Day after day, the educators put clay out and watched as children interacted with it. They thought about the clay and its personality as they put out invitations for children. 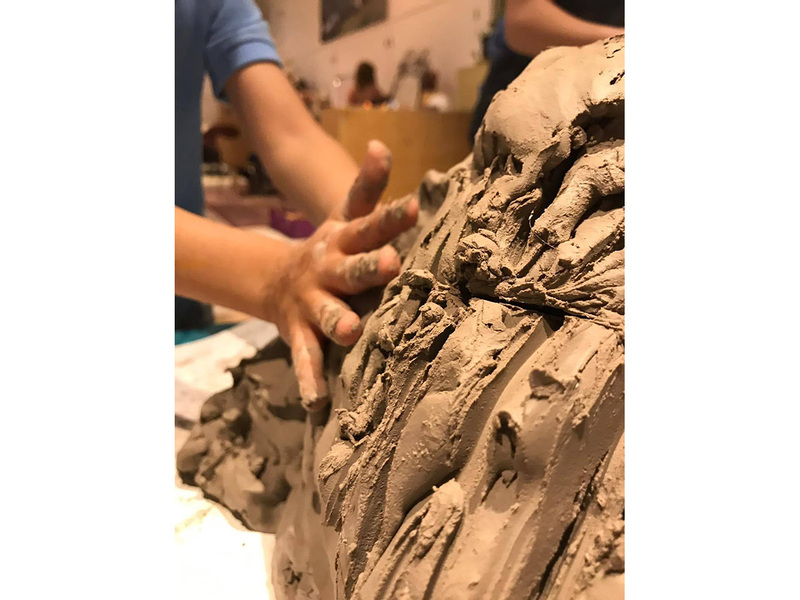 They sat with the children and became one with the clay. 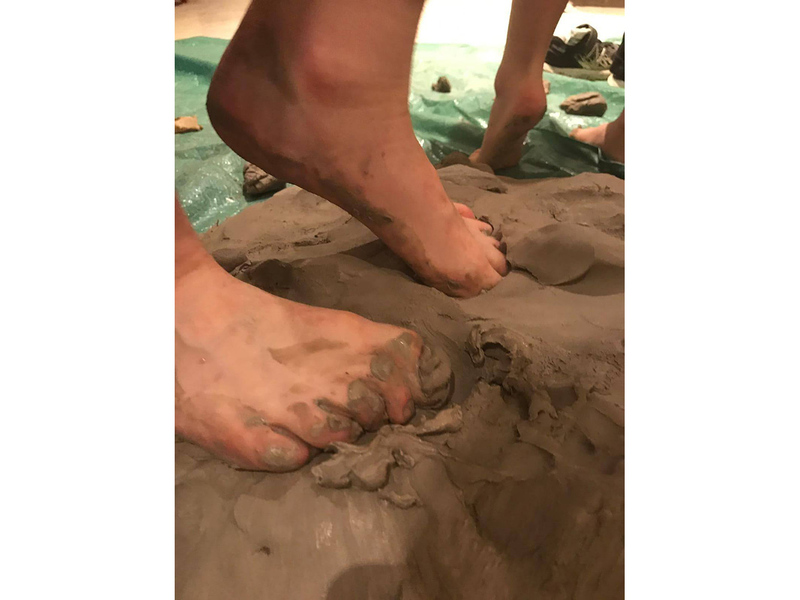 They invited the parents to come in and play with clay on Parent’s Night. They tried different heights, angles, sizes and formats – and eventually, clay became part of their culture. It was welcomed by children, manipulated into different shapes and lived with. 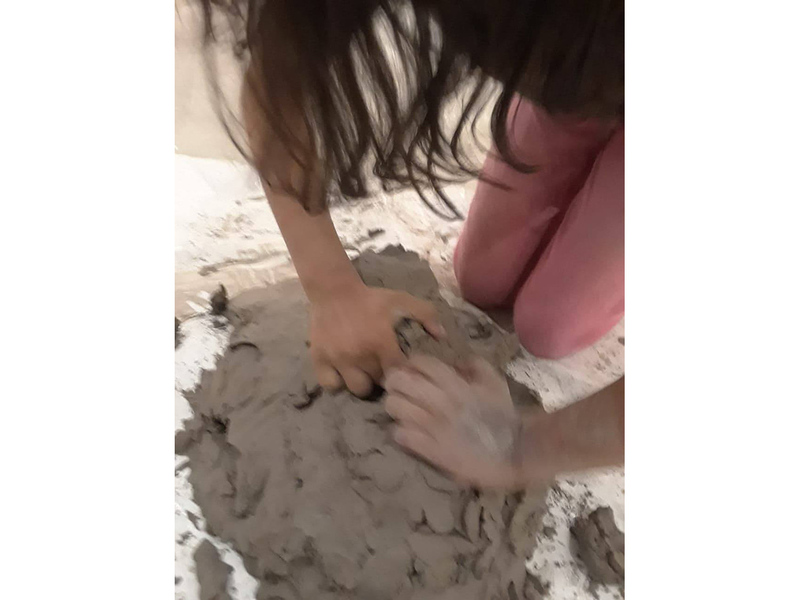 Clay was no longer a medium to “make” something and take home – it had become part of the space. It was explored and then left for others to explore. We (the educators) had taken something strange, a material that was not familiar to the children – an “Other” – and had made it familiar to them. We brought it out so many times and showed its different personalities to the children in so many different circumstances, that this unknown material became well-known to the children. "Learning is possible when the autonomous 'self' reaches for the other, grasps the Other and understands the Other: once grasped the stranger is made familiar, intimate and the same and the unknown is turned into something which 'free thought' can grasp” (Kemp and Hall, 1992). The educator’s role is to make it possible for the children to reach the “Other”, explore it and understand it. Kemp, L., and A.H. Hall. Impact of Effective Teaching Research on Student Achievement and Teacher Performance: Equity and Access Implications for Quality Education. Jackson State University Press, 1992.